The Taihei guys met Mark Major, the mastermind of Outsider Brewing, a few times at different beer events and he is pretty soft spoken, even by Aussie standards. Despite Mark being so quiet and reserved, his gusto of growing his business and brand to an even larger scale isn’t one bit quiet and reserved. He is creating something unique in Kofu that is bringing the Edokko (the children of Edo) to Hops and Herbs and Outsider Brewing. Outsider Brewing is now seven years old (est. Feb 2012) and he now has his own Mexican restaurant in Kofu, Baja and Mezcal. All of his endeavors are currently focused in Kofu. With so much to talk about, we needed to talk to Mark of Outsider Brewing one on one, as well as to try to get him to dish on some juicy details about his new brewer. I came to Japan on my way to Africa in 1990…..I still haven’t been to Africa. Taihei: Why do people come out to Kofu? Is it to catch Pokemon, sightseeing, or just to see you? Mark: People come to Kofu for a number of reasons. Mt. Fuji and its surrounds are the biggest natural attractions but there are also many others. It is also famous for fruit, jewellery, and wine. Being only an hour and a half from Tokyo means you can visit on a day trip. There are also seven breweries in Yamanashi now with us being the only one in Kofu. Taihei: Your first go was The Legend’s Bar. What was so un-legendary about it that you had to shut it down? Mark: Legend’s was a nice, little grunge bar. Started for next to nothing and run more as a hobby than a business, it was a great place for my friends to come and drink after work. A falling out with the landlord led us to look for another location. Taihei: So you closed The Legend’s Bar and opened The Vault, what did you learned from your first endeavor to make your second one more successful? Mark: I’d always worked in bars and hotels in Australia so it wasn’t a huge learning experience. The biggest thing for me was to never have a partner again. A lot of people make it work but if you don’t have the same work ethic things go bad quickly. I’d also gotten married so it was now a business and not a hobby. Taihei: Are there any plans to open a taproom under the Outsider Brewing banner in the Tokyo area anytime soon? Mark: Tokyo and other big cities are a dream at the moment. We are basically at capacity at our brewery now so that also makes it hard. 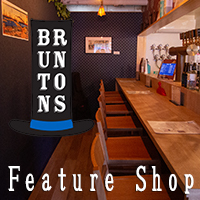 Some people say we should stop selling to other bars and just open our own bar but those bars have been customers for seven years now and helped us to become a well-known brand in the craft beer community. It will happen but not for a few years yet. Mark: Borrow more money; buy a bigger brew house; rent a different, bigger building; research a lot more; don’t do everything in your head. When we renovated Hops and Herbs we had no plans; I just explained what I wanted to the builders. I came in one day to check and said, ‘Where’s that wall?’ and the builder was like, ‘We tore it down.’ It was a wall we wanted and had to be rebuilt. Taihei: Does “Outsider” refer to the idea that you are foreigner opening a brewery that requires heaps upon heaps of red tape and paperwork? Mark: Yes. People have always told me that gaijin is not a bad word; it just means you’re not from here but when I suggested Outsider a lot of those people told me the word had really bad connotations in Japan and that basically settled the argument. Taihei: How often does AC/DC play at Hops and Herbs because I know that Aussies have a sore spot for them. Mark: Hops and Herbs probably not so much because we have a manager there. It used to play a fair bit at The Vault but now I’m more of a floater than the specific manager of one of the bars so a lot less than it used to. Taihei: Write your career from opening The Legend’s Bar to your new operations using beer style or AC/DC songs. What beers (or songs) do you feel are representative of each phase to each moment in time? Mark: Too hard. The only thing I can say is that I am trying to transform from Bon to Brian without me or the business dying. Hopefully, when that transformation is done we’ll have as much success as AC/DC has had. Taihei: Speaking of your latest operations, why open a Baja Mexican restaurant and a Mezcal Tequila cocktail bar in this area? Mark: Being a foreign bar owner means I speak to a lot of ex-pats and travellers. Most North American people say the biggest thing they miss from home is Mexican food and there were no Mexican restaurants in Kofu. I know a lot of people who go to Tokyo specifically to eat Mexican. I was looking to do something new and thought it would be great for Kofu. Taihei: During the second day at the Japan Brewer’s Cup last year (2018/01), the Taihei guys were a bit off one’s face, why did you let them help promote your booth? Mark: It was what it was. You guys seem to genuinely want to help and promote breweries and are always friendly and polite. As long as you’re not too out there, it is a beer festival after all. I have a bit of a bad reputation for being hard to work with because I say what I think. That also goes through my mind, here I go again, but as long as whoever it is, is not rude or pushy with customers I’m willing to go with the flow. No harm no foul. You guys are cool. Taihei: I still like the laissez faire facial expression you gave them. Mark: Part of my reputation. I’m really not suited to working in the service industry because my face is an open book. Taihei: Speaking of beer festivals, what type of venue do you prefer? Mark: I love outdoor festivals just because in Oz your favourite place to drink beer is around the barbecue. I much prefer spring Keyaki to autumn Keyaki, having said that, Osanbashi is an awesome space. Wood, springy floors with windows looking out onto the sea, that and Kyoto are probably my favourite venues. Taihei: What are your favorites to drink from your brews or do you never get a high on your own supply (I have wanted to use a drug reference for a while now)? 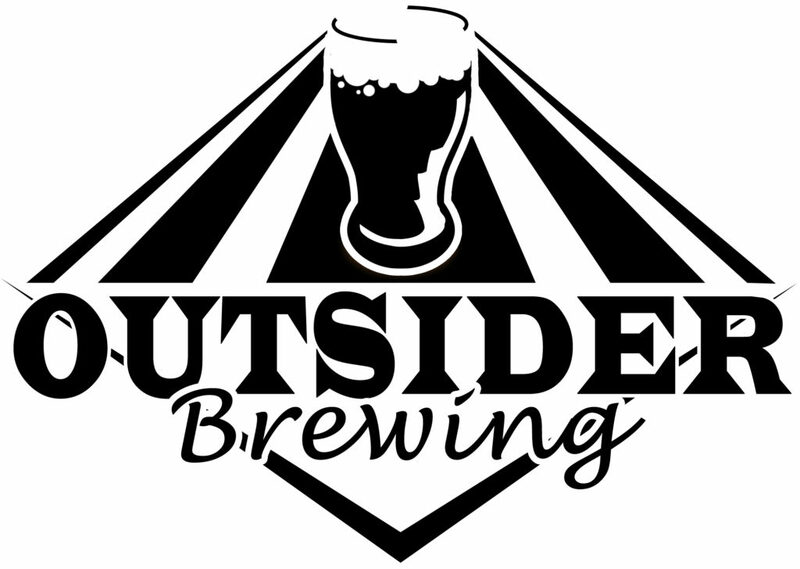 Mark: My favourite Outsider beers are The Counties Pale Ale, Gunslinger IPA, and The Dark Side Imperial Stout. We have just changed brewers so are in the midst of a rethink. I think Counties, Gunslinger, and Sunrise Lager are fine just how they are. Drunk Monk uses wild yeast so we’ll let the yeast do what it does. Everything else, we will sit down and do a tasting and discuss what we think the others beers should be. We may fiddle with the other beers. As much as I like Dark Side it is a very light beer for an 8% imperial stout. I think it could have some more depth and be better for it, but it will be a consensus thing. If everyone in the discussion but me thinks it’s fine then we’ll probably leave it as it is. Other beers I drink, usually pales and IPAs followed by dark and black beers; I’m in a stout/porter phase at the moment but I also really enjoy fruit/sour beers, they work. There are very few I like in Japan and this might be one direction we go from here. Taihei: There is a new law that breweries have to make a minimal amount per year starting this year; what are your thoughts about it? Mark: As far as I understand it, nothing much has changed for us. We have a happoshu licence so we only have to make 6,000 Lt per year. We are basically at 60,000, which is beer licence territory so we are safe for that as well. It looks like they want to phase out happoshu but will let people who have it now keep it like the yugenkaisha thing. They have greatly increased what can be used in beer which I thought might affect us but was told we’re basically allowed to make beer now, possibly because we were already using those ingredients. I might be wrong; if you know anything I don’t please share the knowledge. Taihei: What do you think will happen to breweries that can’t make the cut? Mark: Japan is a very bandwagon country. Everything is a fad. There are too many new breweries and beer bars too quickly and many of them are serving an inferior product. I think there will be a ‘crash’ in the next year or two. The customer base is expanding but not in time with the breweries and bars so they are now fighting over customers. When the crash happens the weak will die and the strong will survive and craft beer in Japan will be better for it. The people who like craft beer now will not change and the weeding out process will create better beer and stronger companies. You just have to look at the big boys, every new beer they put out now has craft or master in its name because they know which way the road is leading. At the same time it is hard to make good, flavourful beer while satisfying your bean counters and shareholders which is why most of their crafty beer is crap. Taihei: At least you can get used equipment at rock bottom prices. Speaking of which, any plans to upgrade to a bigger system in the future? Mark: Unfortunately, we have no more space for ‘new’ second hand equipment at our current brewery. In the next two to three years we are planning on opening a new, bigger brewery somewhere here in Kofu. We will keep our current brewery so the new place will be in Kofu but not in the city centre. As I mentioned earlier I never want to have a partner again but doing everything by yourself means everything takes forever. With this in mind, and our future plans, we started advertising for investors in December. We have set a total of $1,000,000 dollars and the response has been more than I expected so far. We are at close to 10% of our target now and have promises of another 20% over the next month or so; anyone seeing this and interested in investing please contact me (thevault@live.com.au) for terms and conditions. Later this year we also plan on starting a crowd funding campaign with $1,000,000 as the total again. I’m a very analog kind of guy so I’m not too knowledgeable about it but people tell me that if you hit the right note it can really take off. Obviously, this is my company but a lot of what we are doing is trying to bring back the Kofu I knew when I first arrived. Bringing people back into the city centre to eat, drink and be merry but for that you need locations and name value and that is what we are trying to do. If we can meet both of our goals it will still be less than half of what we will need to invest but it will be a huge help and will speed up everything by years. Taihei: Where did this idea of becoming a brewery owner come from? Mark: I had been running The Vault for a few years but felt that I was spinning my wheels. The bar was going well but we now had three kids and no kind of pension plan because I was self-employed. I wanted to try something new and a regular, who likes beer, told me the happoshu licence had become quite easy to get. I decided to look into it and before I realized what I was doing I had bought a 500 Lt brewhouse for ¥5,000,000 and there was no looking back. Taihei: Actually, what did you do before Outsider Brewing? Mark: In Australia I had worked in bars and hotels since I was nineteen. In Japan I was an English teacher. I left once and came back with the idea of getting out of teaching as quickly as I could. Taihei: How is the craft scene back home and what do your mates say when you tell them that you own a brewery in Japan? Mark: The craft scene in Australia is getting there. There wasn’t a huge home brewing culture in Australia so the first micro-breweries were making beer one step up from the big boys. It was a pale ale but it was a very ‘pale’ ale. I go home every year now and about two years ago when I went home everything seemed to have jacked up. The beers were a lot more strongly flavoured and not bad at all. Three breweries I really like, Boatrocker and Moon Dog in Melbourne and Green Beacon in Brisbane with a shout out to Grand Ridge which is one of the pioneers. A funny thing, when I was a kid, Coopers was laughed at for being beer for your grandad but anybody home brewing in Australia used a Coopers kit to start. Now, they’re the flagship of craft in Australia and family owned since the pyramids. They are also about to start exporting malt to Japan which we hope to start using on a regular basis to go with the hops we import from Oz. By the way, in Australia ‘not bad’ means pretty f%&'(‘)g good. Taihei: What did the trick to pull Niwa-san into the mix and did you use the same trick with your new brewer? Mark: When we decided to open the brewery we put an ad out for a brewer and Niwa-san responded. I had no idea who he was and don’t really know why he wanted to work for us. He has said that working for a new brewery was a big pull because everything is new. Our new brewer, I heard he was good and available so sent out some feelers and he was keen. I also want to mention Momo-chan. Momo-chan has been working under Niwa-san for four years and has started to blossom. If she had had a couple more years of experience she would be our head brewer. Akuzawa-san is coming in as head brewer for two or three years because he eventually wants to live and work in Shizuoka. He has the title of head brewer but it will be more of a collaboration with him and Momo-chan because she will still be here after he leaves. Momo-chan’s beers are getting better and better and she loves being out from under a guiding hand. Taihei: So when are we going to see an Outsider Brewing Taproom in Sydney? Mark: Only after there is one in Melbourne. Look anywhere and the place to be for food and drink in Oz is in Melbourne. Taihei: Where can we find your beers, in the Tokyo area, and elsewhere? Mark: We are not on a regular menu anywhere in Tokyo but are on a lot of rotating taps. Our biggest customer is Craft Beer Market and Popeye generally has two or three of our beers on tap. They are your best bets. This entry was posted in All Regions, Interviews and tagged Interview, Mark Major, Outsider Brewing. Bookmark the permalink.